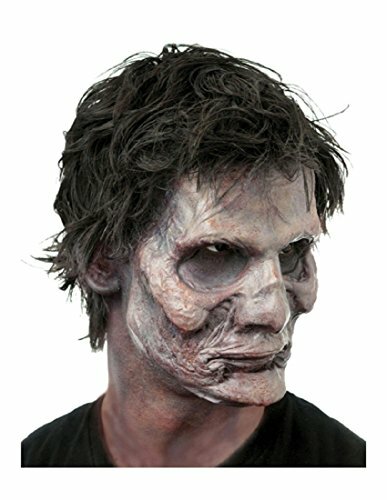 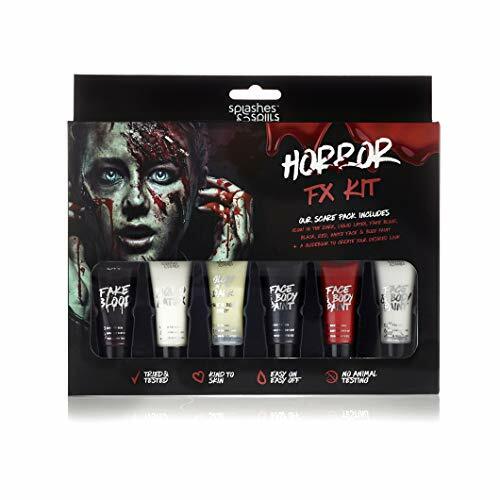 Celebrate Day of The Dead properly with this complete makeup kit from Cinema Secrets Pro Cosmetics. 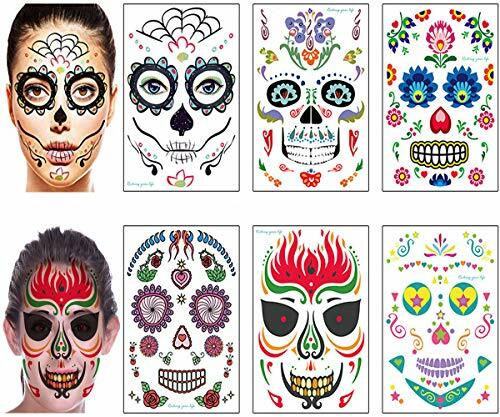 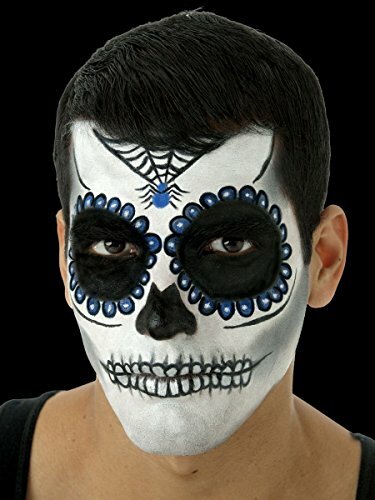 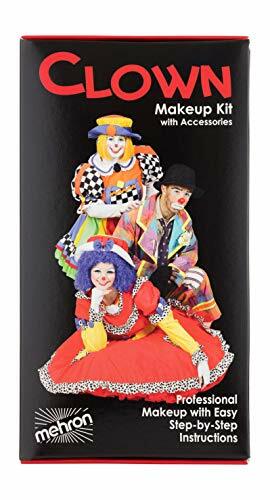 This kit includes everything you need to create a fun and authentic looking day of the dead face paint. 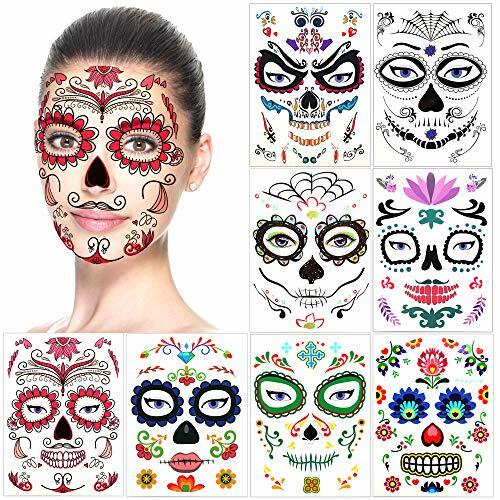 PACKAGE:6 Sheets day of the dead sugar skull face tattoo.NOTE:Not recommended for children under three years old.VERY SUITABLE:Halloween party cosplay dress up accessories, day of The dead, night party, scare make up dress up, photoshoots, club nights, coco birthday party supplies, arts & crafts projects, festivals, charity events, and sports games. 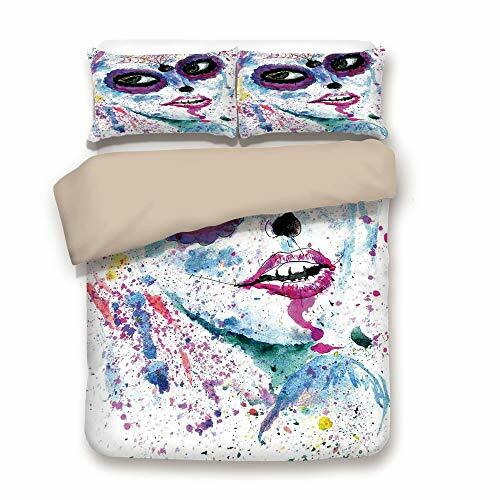 Beautiful and attractive, Free to show your personality. 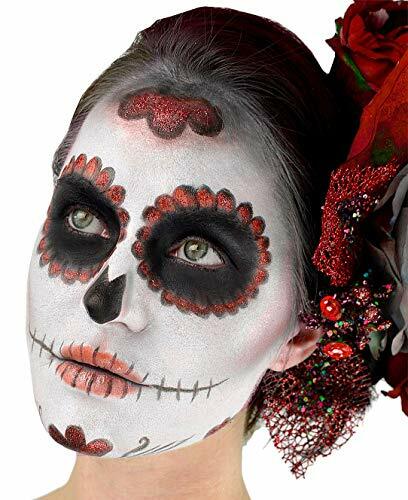 A little rebellious, a little scary, a little mysterious.HOW TO USE:1.Clean the face and keep it dry, no makeup or oil is needed.2.Cut all the pieces with small scissors before starting.3.Cut the eyes in half (upper and lower half) so that the positioning starts from the top of the face.4.Place the tattoo and make sure it is firmly attached to your face, Wipe the paper with a wet towel or sponge until the paper is completely wet and wait 20 seconds.5.Carefully remove the paper to check if it has transferred, If not, press a little longer, Be sure not to twist or stretch the skin until the tattoo has time to set.HOW TO REMOVE:Simply soak the tattoo with body oil, olive oil or alcohol for about a few minutes, then scrub off.